The gadget maker announced on Monday that it was retiring Apple Newstand and replacing it with Apple News, a Flipboard-esque news aggregator which is likely based on the PRSS digital magazine paltform Apple acquired in September of last year (and possibly also Booklamp). Techcrunch and Slashgear report that the new app will come bundled with iOS 9 and will ship with articles from a number of publishers, including Condé Nast properties like Vanity Fair, Vogue, and GQ, The New York Times (with thirty free articles a day), and ESPN. News can be summarized as Flipboard with search, though I doubt that either company would be too enthused by the description. Apple’s Susan Prescott walked the audience through the app, explaining that it asks your interests to “get a sense of what you like.” The result is a personalized content feed. Apple stressed the aesthetic of the app, noting its layout functions that help content be arranged in a pleasing fashion, and what the company called “rich typography.” The app has another key feature: Privacy. Apple said during its keynote that user data will not be shared with third-parties. The idea of data privacy was a theme of Apple’s keynote, and sat well as a direct swipe at Google, a key rival. There was also a report from early this morning that Apple would have advertising inside the app and offer publishers terms similar to the terms for Facebook Instant Articles. I don't see any details like that being reported in the official announcement, so I guess it turned out not to be true. but I did just read a tweet which appears to confirm the report. Update: The news is confirmed on the Apple News developer page. So Apple has launched a Flipboard competitor. Interesting.Do you suppose they'll repeat their past bullying? Apple has been known to make life difficult for competitors by playing games with said competitors' iOS apps. This includes ebook apps, web browsers, and (most recently) iOS companion apps for the Pebble smartwatch. 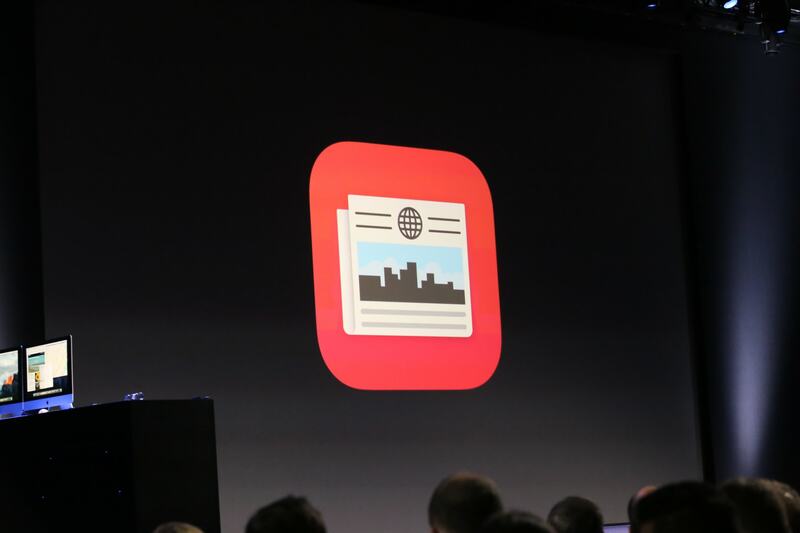 Do you suppose Apple is going to play similar games with Flipboard once Apple News launches? The bigger question to me is how this works in terms of self-publisher/bloggers. They gave the impression your content can be easily added to the feed. How would that work? Do you submit articles directly to Apple or is it some kind of RSS type feed or what? I’d love to publish my own ramblings to iPhones.